Reverend Jake Morrill came to PUUC on Sunday, April 14, to help celebrate the church’s 25th anniversary, and he promised to return on the 50th anniversary to praise the achievements of the years 2013-2038. He mentioned building the church, becoming a Welcoming Congregation at the urging of the church’s youth, and calling Rev. Robin Tanner as minister as very significant accomplishments during the first 25 years. PHOTO: Reverends Robin Tanner, Liz McMaster, Karen Matteson and Wyman Rousseau. 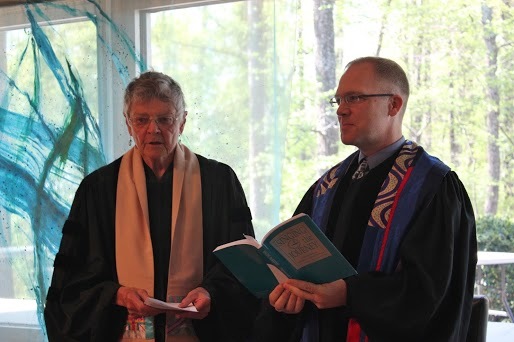 Former ministers Reverends Liz McMaster, Wyman Rousseau and Karen Matteson traveled long distances to be with PUUC for the anniversary events, speaking during the program at UUCC on Saturday evening and participating in the Sunday services the next day. They were warmly welcomed by some charter members and many former board presidents present for the special events. 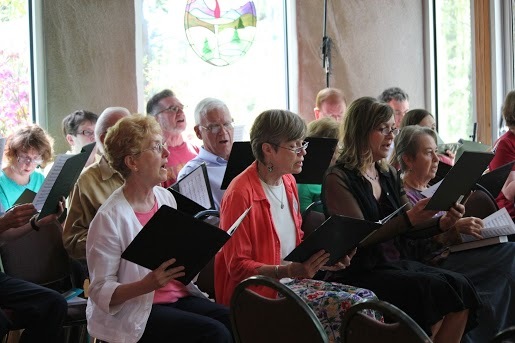 Music Director Wally Kleucker, the choir and musicians performed special music for both anniversary events, including a beautiful Mary Oliver poem set to music by Wally. At the Saturday reception following the program, Founding President Jeff Blum toasted the church’s past and PUUC’s current minister, Rev. 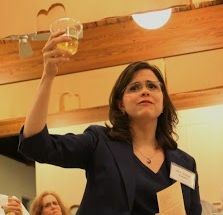 Robin Tanner, toasted the future. 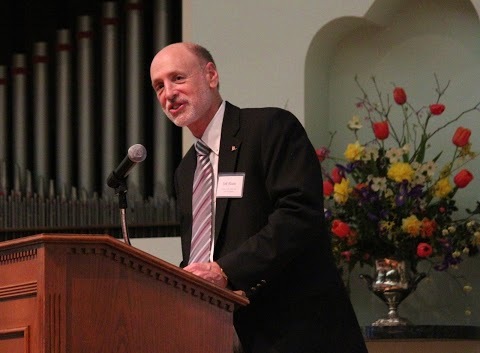 PHOTO: Jeff Blum, Founding President, opens the anniversary Program on Saturday evening at UUCC.